The technology already exists to avoid accidents and deliver business benefits, conclude shipping tech leaders – but perceived cost and wariness of data sharing remain barriers to adoption. 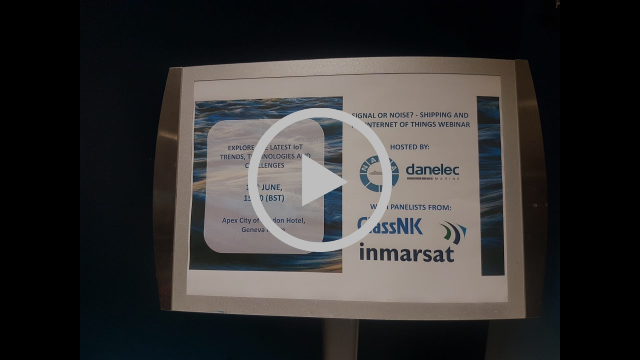 Helsinki – 01 July 2018 – NAPA, global maritime software, services and data analysis provider, teamed up with Danelec Marine, the manufacturer of Voyage Data Recorders (VDRs), ECDIS and ship-to-shore data solutions, leading classification society ClassNK, and Inmarsat, the world’s leading provider of global, mobile satellite communications, to debate the Internet of Things’ potential to reshape the maritime industry. When asked what they saw as the biggest issue holding back investment, the panel was unequivocal: perception of cost, and the need for IoT skillsets to improve among onboard and shoreside users. As Ottosen said, “Cost is always the first issue. Many companies remain traditionally minded, and they’re not looking to really understand IoT’s benefits. This means that they aren’t bringing in the right skills or training, and aren’t going to see the upside,” he said.